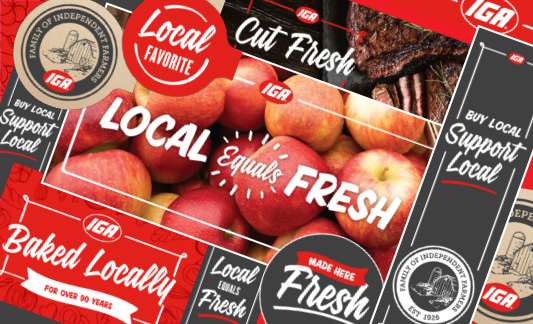 Up-brand and refresh your store with the new IGA Local Equals Fresh in-store signs. 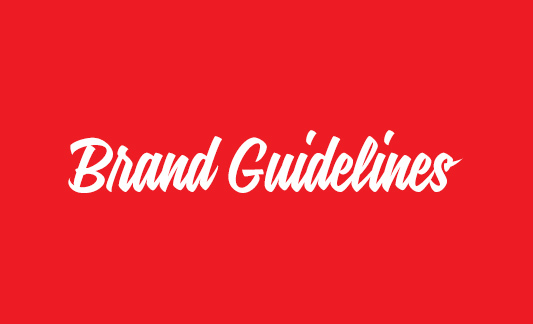 DG Graphics, your IGA Red Oval Partner, has the Launch Kit to get you started, plus additional merchandising signage, even décor, and wayfinding. Be sure your front-line team is up-branded with Local Equals Fresh. 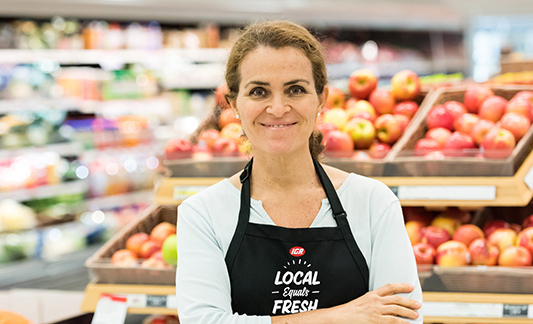 ARAMARK, your IGA Red Oval partner, is the source for aprons, shirts and other IGA image apparel with the new Local Equals Fresh image. 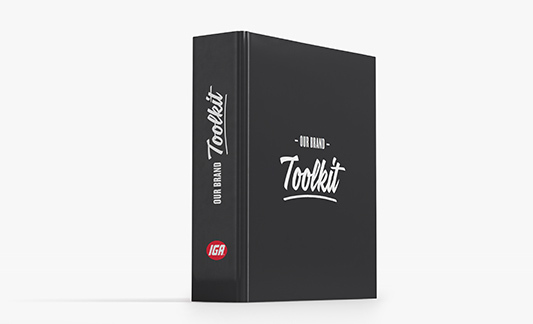 To help us bring the IGA brand to life, we’ve created this brand toolkit to provide advice, instruction, and inspiration to all those working with the IGA brand. 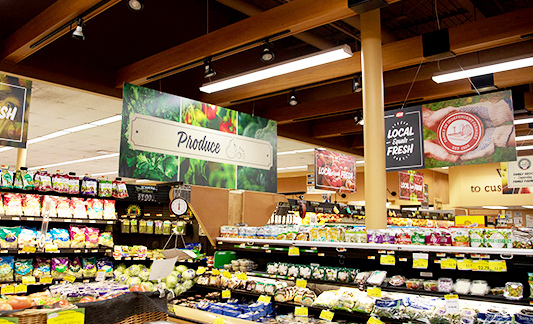 The content of this kit highlights what sets us apart, the experience we want our customers to have, and the tools to build brand power for the Independent Grocers Alliance. Integrate the Local Equals Fresh branding into your print ad and digital media with a variety of graphic assets to tell your local story! 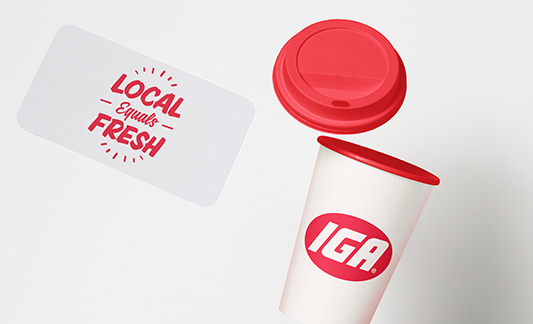 From name badges to coffee mugs and reusable totes, IGA Red Oval Partner Ashgrove Marketing offers a variety of promotional products that can be imprinted with your name and message.